Last week you saw a flashback to one of the gorgeous Renaissance Custom Lacquer shades (now called Renaissance Cosmetics) and this week it's a flashback of 2 shades! Well, at least when you hit that link ;-). Aaah, a year ago I joined a group that would do themed nailart in twin pairs - in the end I just couldn't commit to the schedule but this particular mani was a result of the first theme! I love dark grey and pink together ^^. 31 Day Nail Art Challenge - Inspired By A Flag! Wednesday 31 Day Nail Art Challenge - Inspired By A Flag! How bold is this race flag inspired look?! I love it! It was part of the 31 Day Nail Art Challenge Manon and I started together, though she finished alone. Aaaah, MOAR TFL pretties lol. And truth be told, there's a new batch on it's way to me so prepare yourself ;-). 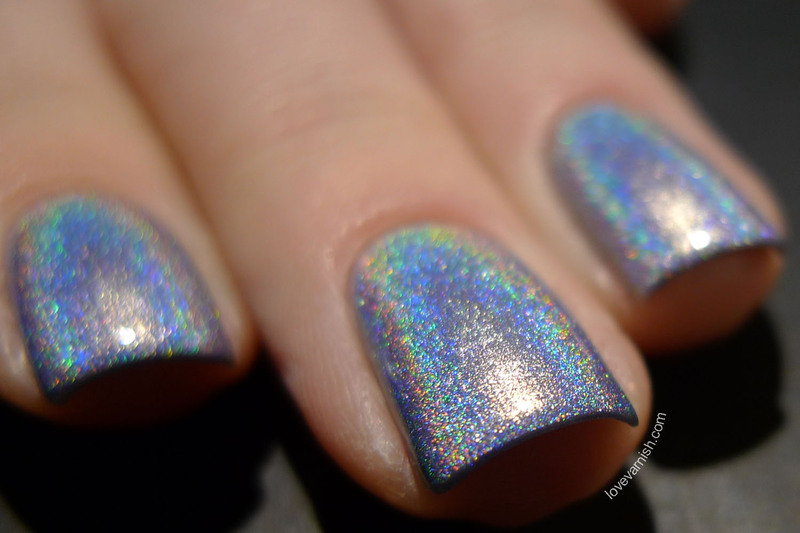 This is Blue Willow, an ultra holo. Stunning! Swatches & Review - My 3 picks from the China Glaze Crinkle Chrome collection! Friday Swatches & Review - My 3 picks from the China Glaze Crinkle Chrome collection! Wait, I totally forgot about these! One of the weirdest releases ever by China Glaze. 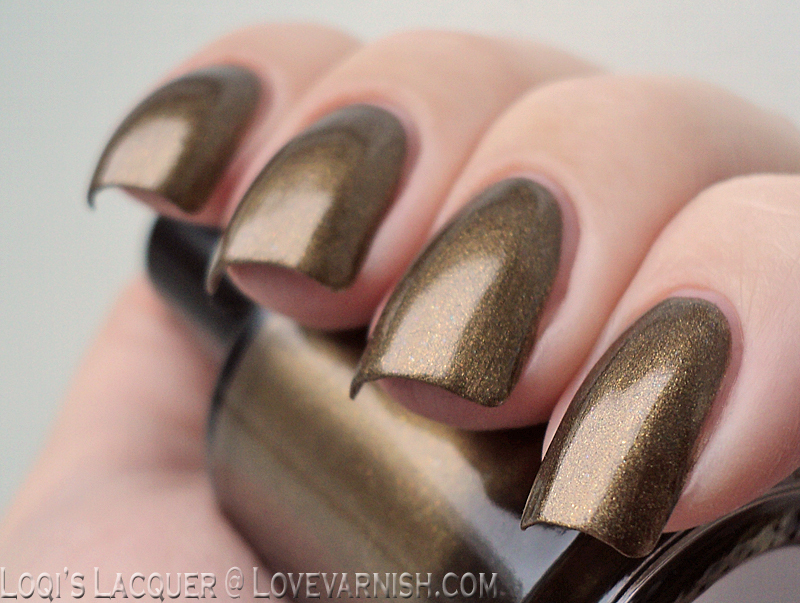 Metallics filled with texture and barglitter make for an interesting finish don't you think? Sometimes you look back on something and you fall in love all over again. This combination of colors just worked so well! I really like the Greek Key nail art design you did. The color combo is so sharp and looks great! 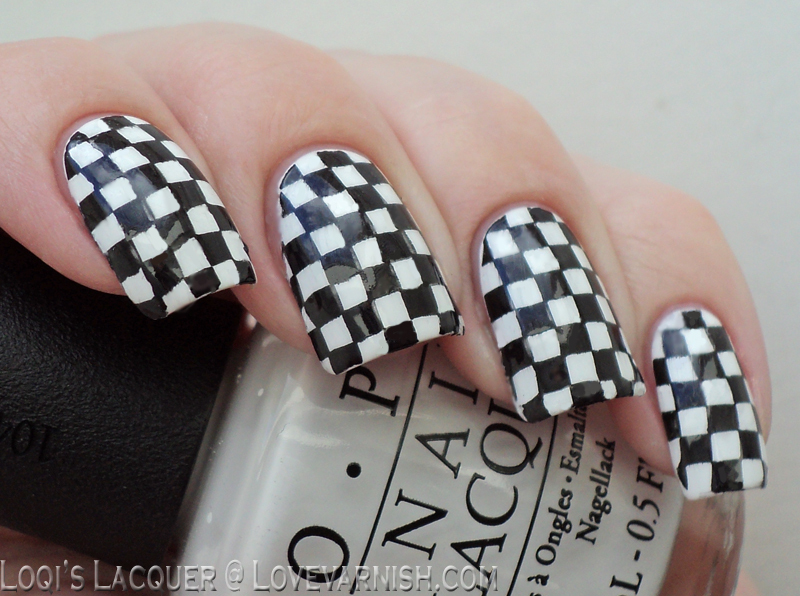 I Love your dotticure, your race flag (and Nascar gets started again this month! ), and I love the greek key design. Loving the simple and beautiful dotted nail art! Ooo, Blue Willow is gorgeous! So cool! I love the Monday look! It reminds me of a maze. The Crinkle Chrome polish is so funny..it's like you wet your nails but not your hands? This is such a cool post..and the Crinkled Chromes!!! I forgot about those too...so crazy!